It's Hallowe'en! It's the thirteenth and final night, and movie. Not every year gets to have a specifically Hallowe'en themed movie for this auspicious night. Trick 'r Treat (2007) tells four stories that twist and turn amongst each other. They come together into a delicious gooey mass of holiday shenanigans. First up for acting staff is Dylan Baker as... Read more at R.G. Male's Dark Corners. 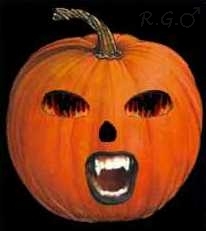 Tags: Halloween, horror, movies, R.G. Male's Dark Corners, thirteen.